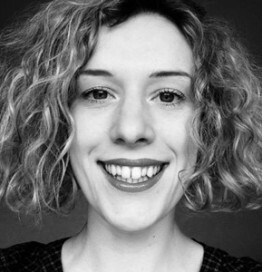 Dr Oonagh Murphy is an arts manager, writer and lecturer, her research has taken her around the world to explore international best practice on the scalability of emerging technologies for cultural organisations. Oonagh works with a wide range of clients on both a short term and ongoing basis in an arts management and consultancy capacity including The Frieze Art Fair, Blick studios, University of Ulster, Queen’s University, Museums Computer Group, Irish Museum of Modern Art, Audiences NI, Irish Museums Association, CultureTech, Arts & Business NI and Young at Art. In 2015 Oonagh joined Richmond the American International University in London as Associate Professor of Visual Arts Management and Curating. Workshop Description: Museums and galleries have long hosted artists in residence, it’s a successful format that helps shine new light on collections, generate new stories, and attract new audiences. In this workshop we will explore how this model can be adopted to develop stronger links between museums and the creative industries. From New Museum (New York), to Craft NI (Belfast) we will examine what makes a successful model for collaboration with creative entrepreneurs. Through a range of practical activities, workshop participants will develop a collaborative concept fit for their institution to take forward. The aim of this workshop is catalyse new thinking and start a conversation about how museums can support the creative industries.